Yesterday I was asked to take part in a BBC Newsnight debate on the issue of rhino horn trade, in light of a South African businessman’s claims that his efforts to ‘farm’ rhinos for their horns is helping to save this endangered species from extinction. I was very pleased to have the opportunity to take part in this discussion and explain IFAW’s position. The simple fact is, farming rhinos for profit may well make money for the individual concerned, but it will do nothing to protect rhinos in the wild from further slaughter by poachers. What we need to protect rhinos and elephants is a permanent end to the trade in their body parts. These are products which nobody needs. We need concerted efforts to make this happen, at an international and a local level. We need strong enforcement against poaching and illegal wildlife trade, and we as consumers must reject items made from rhino horn, elephant ivory and other endangered species. We all need to recognise that rhino horn and elephant ivory should only be valued where it belongs, on a wild animal, living free. Only by working together and ending the trade can we protect these animals and ensure their long-term survival for future generations. The issues of rhino horn and ivory trade are not confined to Africa and Asia but are a huge global problem. Only this week, we heard the case of a man in the UK jailed for 14 months for using social media to try to trade illegally in rhino horn and ivory. But still opponents who wish to profit from threatened animals tell us legal trade is OK. Even as the domestic sale of rhino horn in South Africa has been allowed, controlling what happens to that horn is problematic, given porous borders and often poor law enforcement. Legitimising sales simply fuels demand and poachers and traffickers will use this as a smokescreen to flood the market with more illegal products from poached animals cruelly and needlessly killed. Poaching operations claim the lives of not just animals but also the brave rangers who try to defend them. This is why IFAW works not only with governments and enforcers but with local communities to ensure they benefit from protecting their local environment. While poaching may provide short-term profits for a minority, conservation can bring lasting benefits for all. We are building a network to defeat a network. The figures for rhino populations and their decline make very depressing reading. Once abundant throughout Africa and Asia, rhinos numbered around 500,000 worldwide in the early 20th Century. However, by 1970 this had fallen to 70,000 in the wild and today there are only approximately 28,000 rhinos left. 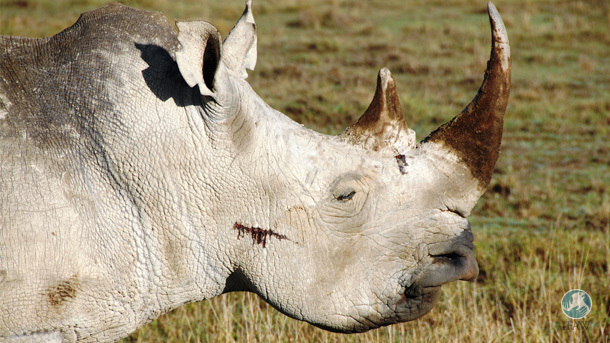 This is why IFAW is standing firm against rhino horn sales. The decimation of this iconic species has to stop.